Part of Magic: the Gathering's folklore is the Black Lotus. An obscenely powerful and even more obscenely valuable card that practically everyone who has heard of the game knows about. But what makes it so powerful and so valuable? A Youtube video from channel Rhystic Studies explores the history of the famed card, both from a historical and in-game perspective. The video tackles everything from sports collectibles to Magic's controversial Reserved List policy that prevents any further copies of Black Lotus ever being made. 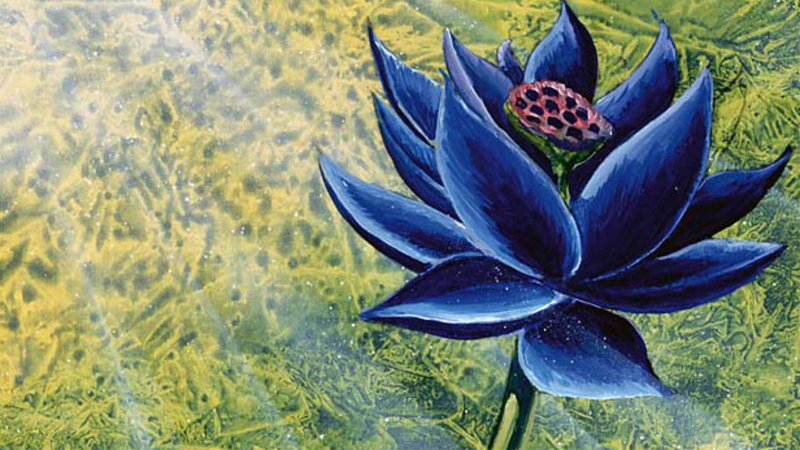 Part of the Power Nine, Black Lotus is a powerful Magic card that lets players drastically jump-start their game plan by playing cards that would otherwise be unable to be played until later in the game. It's one-of - if not the - most powerful Magic cards ever printed and has become an icon of the game. That iconic status has contributed to the value of Black Lotus and the limited print runs of Alpha, Beta and Unlimited (the only sets the card was printed in) in 1993 has made it a highly sort after collectible. Players in a competitive Unlimited draft at Grand Prix Chiba were expecting to open some of the most powerful, and valuable, cards in Magic. The Gathering, but what they got was a Black Lotus.